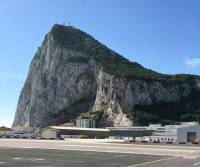 On Day 6 our Gate 1 Travel adventure set off from Torremolinos on our Gibraltar Tour. Gibraltar is an extremely small country, which consists of one small town situated below the famous Rock of Gibraltar. This day seemed out of sync with the rest of our tour of Spain. Bangers and mash were being served at the restaurants by staff speaking British English. The entrance to Gibraltar is very unusual, because the airport runway crosses the only road to the town. When a flight is landing, all the cross traffic must wait. Local buses were backlogged that day, so our group decided to walk across the runway to the town. As soon as we reached the runway crossing, it was closed for a flight. The jet landed right in front of us. Then we were permitted to walk across the runway to the town. Walking across an active runway seemed very strange and also special. 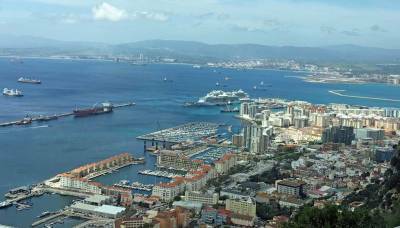 After lunch at a typical British restaurant, we toured Gibraltar in one of their small tour buses. 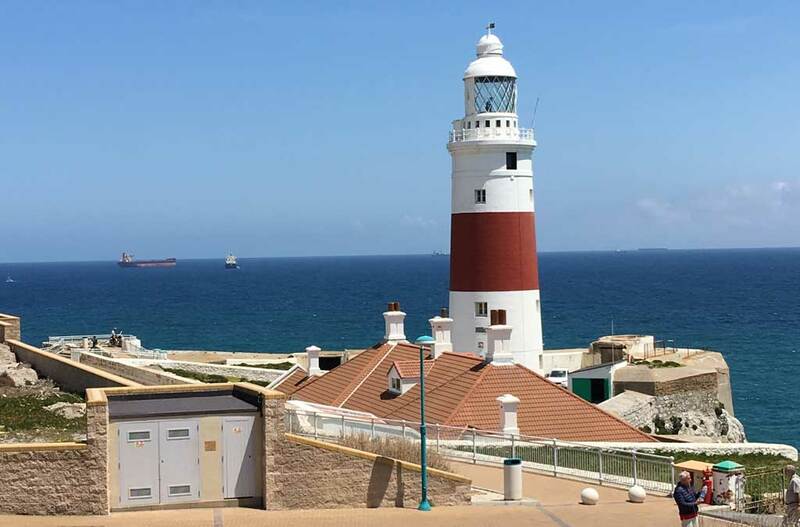 We visited the southern tip at Europa Point, where the Trinity House lighthouse and the Ibrahim-al-Ibrahim Mosque are located. The mosque serves as a striking reminder of the Moorish and Islamic influence in Spain and Gibraltar. Next the bus ascended the steep, narrow pavement to St Michael’s Cave. The Cave exceeded my expectation. It was very large with several high and wide open areas. 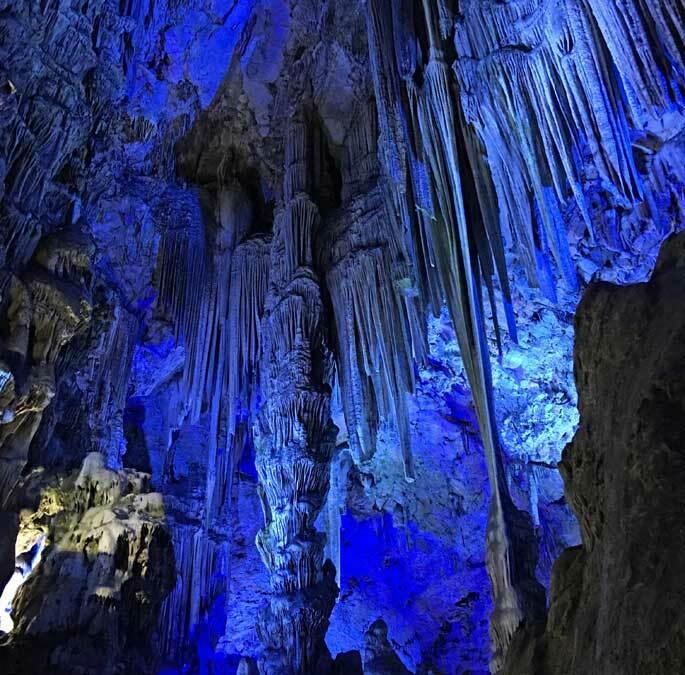 Colored lights projected changing patterns throughout the cave. The lighting created beautiful variations in the views of the stalactites and stalagmites. Outside the entrance, Barbary macaques entertained tourists. One of the female macaques snuggled with our bus driver and posed for pictures with us. 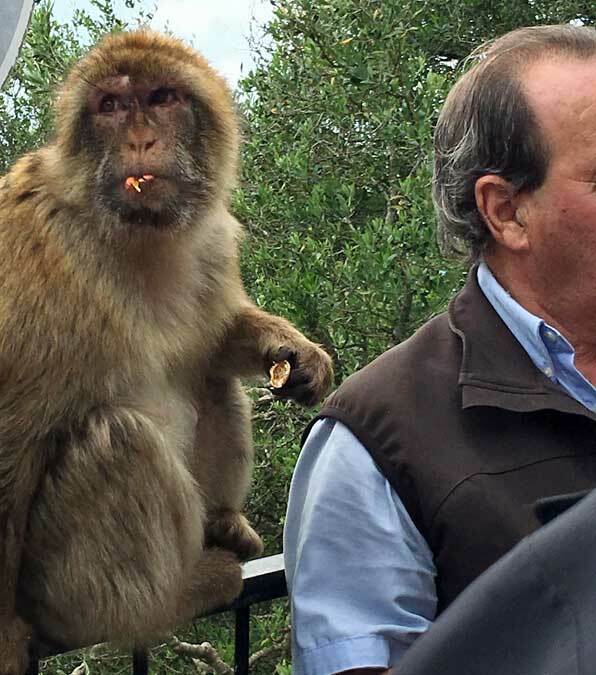 We didn’t experience any macaques stealing hats, packs, food or jewelry, but you can certainly find evidence of this on the internet. From the Cave, we drove a little higher and then over to the viewpoint at the north end of the Rock of Gibraltar. That concluded our Gibraltar Tour. 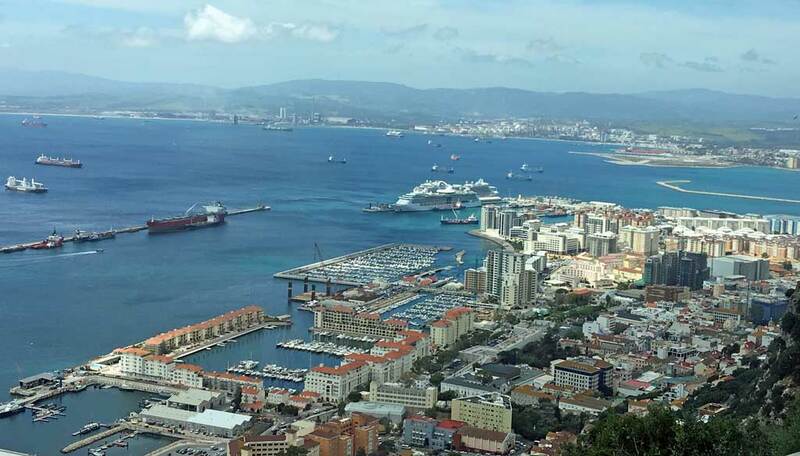 For a more extensive view, you should add on a trip up the Gibraltar Cable Car.